It is common for people to think that the garage door opener is the main driving force of the automatic system. The reality is that it only replaces the human effort necessary for opening and closing the door manually. The hardware components make the safe and smooth movement possible. 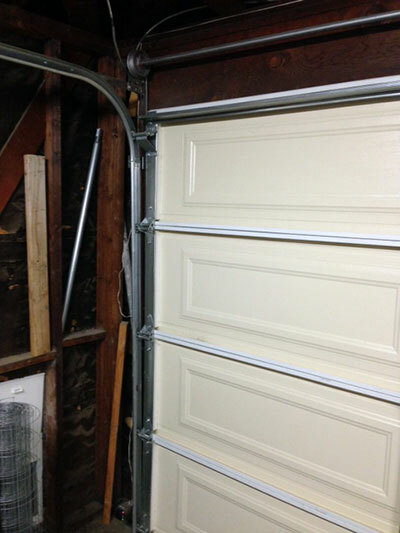 Rely on us, at “Garage Door Repair Palo Alto”, to maintain them in perfect condition as part of our comprehensive service. Our work begins with inspection for wearing and damage. We check the cables for fraying and cuts, the tracks and hinges for bending, the rollers for twisting and the springs for deformed coils. If there is a need for fixing or replacing any component, count on us to do the job without delay. All moving hardware parts require lubrication. The list includes torsion springs, hinges and rollers with metal wheels. We use lubricant which isn’t sticky and doesn’t harden and apply it with precision. We will take care not only of the opener motor, drive, trolley and rail, but of the safety sensors and controls too. Special tests will show us how well the sensors work. If there is a problem, we’ll run full inspection to identify its cause and fix or replace the devices. The remote controls do as much work as all other electronic and hardware parts and need adequate care too. Count on us to inspect them for damage and to clean them thoroughly. If they have to be fixed, we will do the job on the spot. When necessary, our garage door maintenance services include providing replacement remotes.